The 1st Annual Red Devil Challenge served up a little bit of everything for 50 trail runners that took on the Red Devil trail outside of Cashmere, WA on Sunday, June 5th. 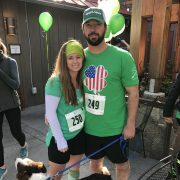 The weather was predicted to be sunny and hot, but mother nature was looking down on the runners with high overcast skies and temps in the 50’s and 60’s, perfect for running. The first 5 miles set the stage for the day with Marcell McArthur setting an early, blistering pace over the rolling first section. At the first check point, he had a nearly 9 minute lead and never looked back, finishing the 14.3 mile course in a smoking fast 1:49:57. The second group of runners at the first check in included Steve Tidd, Eric Kutter, Brent Biggar and lead female runner, Marlene Farrell. The next section was definitely the hardest, with a 4.5 mile climb, followed by over 4 miles of technical downhill running, which gave Steve Tidd the edge and he took advantage of it, putting over a minute into Kutter and two minutes over Farrell, to finish in second with an excellent 2:04:51. Eric Kutter from Samammish took third at 2:06:04. Michael Broxson had a strong second half and caught up to the group and finished 4th in 2:06:18. Marlene Farrell of Leavenworth, took top honors for the females, finishing 5th overall in 2:07:58. Keri Gross of Leavenworth was the 2nd female runner across the line, in 2:22:00, followed shortly by Selina Danko in 2:23:00 for 3rd place in the female category. Valerie Kato and Charlene Belles, one the relay division, in a time of 2:39:15. Overall, a great day for all Red Devil Runners, with many finishing their very first trail run. Full results are below. This event benefittedRunning To Burundi, and we are proud to contribute over $250, back to this fantastic humanitarian project. Thank you to our fantastic volunteers and sponsors! 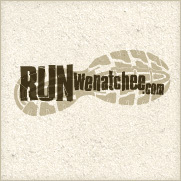 2011 Red Devil Challenge Sponsors include: RunWenatchee, Project Groundworks, Volyn Law, Momentum Brewing, Arlberg Sports and the Inner Circle Gym.